The new Grande Heure GMT from Jaquet Droz features a very clean dial: the goal is to offer a simple, precise way to read the time in two time zones. 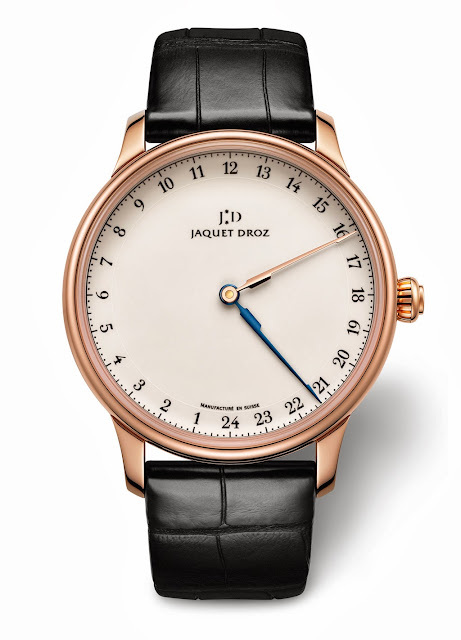 This is possible thanks to the 24 indexes in Arabic numerals and the two hands, the red gold one indicating local time while the blued steel one showing the time at the destination, which nicely stands out on the ivory Grand Feu enamelled dial. Interestingly, when the two hands come together in the same time zone they merge into a single, bicoloured indication of the exact time. The form of a compass of the hands hints at the navigational instruments used by sailors in the past. 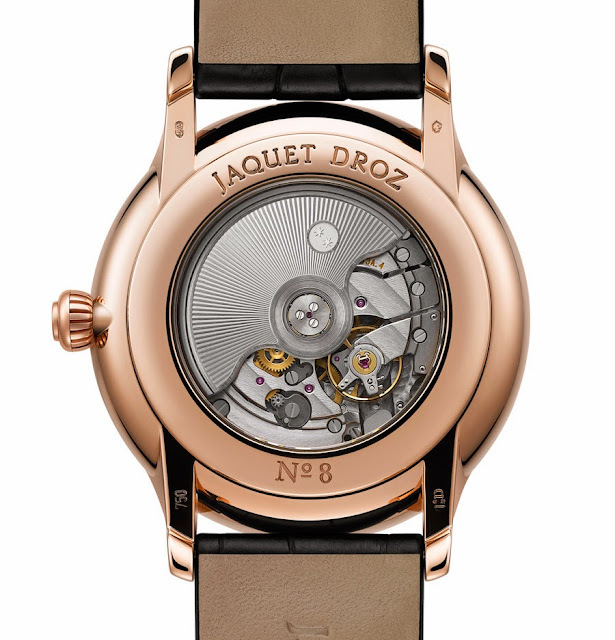 Jaquet Droz has shown its commitment to simplicity by choosing a time-setting system with a single crown. The Jaquet Droz self-winding mechanical movement has a double barrel and offers 68 hours of power reserve. The oscillating weight is made of 22-carat white gold. The red gold case has a diameter of 43 mm. 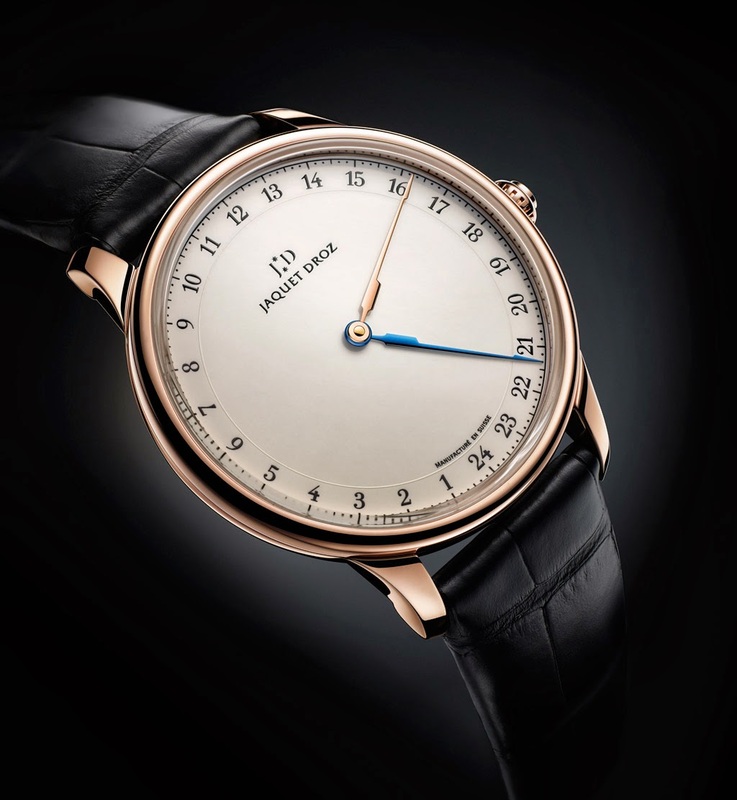 The new Grande Heure GMT from Jaquet Droz features a very clean dial with the explicit goal to offer a simple, precise way to read the time in two time zones.